On December 12, 2014, the Department of Justice announced that Brian Daniel Norton, age 59, of Cicero, New York, entered a guilty plea to two federal felony counts of conveying false information and hoaxes. He faces a maximum possible sentence of five years in prison and a $250,000 fine. During court proceedings, Norton admitted to mailing 21 death threat letters between 1997 and 2012. 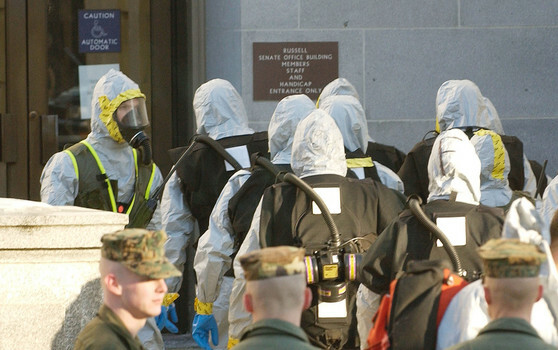 Most of the letters contained a white powder that he claimed to be either anthrax or ricin. One of the death threats, which was mailed in 1997, didn’t contain any powder and threatened the recipient with death by the AIDS virus. The letter threatened the recipient and anyone in their near vicinity with slow and painful death. On his threatening mailings, Norton used various return addresses of real people unassociated with his activities. All of them were investigated, questioned and eventually cleared by law enforcement officials. Analysis of the powder contained in the letters proved that it was harmless. Latent fingerprints on two of the letters led the authorities to Norton. He was living with his father and receiving Social Security benefits since his 20’s. Handwriting on Norton’s Social Security benefit amendment application, as well as the documents obtained by the FBI during trash cover operations, matched the handwriting contained in the threatening letters. Norton graduated from Bishop Ludden High School and attended LeMoyne College for two years. He never worked and targeted both institutes of learning, along with numerous other victims. Nortoh’s threatening letters were laced with profanities, glorified the events of 9/11, praised Bin Laden, Islam and Al Qaeda. Brian Norton is scheduled to be sentenced on April 10, 2015.